Battered Suitcase Press, 9780615828978, 184pp. In 1470, in the great City of London, the great French poet, Fran ois Villon, was in trouble. He had a talent for it. Carted off to Newgate prison, he is thrown into the company of that master of English crime and prose, Sir Thomas Malory. This humorous medieval alternative history tale is told by Fremin-Villon's put-upon secretary -- who has never had an adventure of his own. He tells the story of the meeting of these two masters of writing and crime, while looking back at their early criminal adventures. Both men's lives curiously echo their literary work. It also becomes the story of Fremin himself, as he grows from being the servant of two great men, into his own manhood. Knight Prisoner is a delightful tale of adventure through the dark alleys and filthy taverns of pre-Renaissance London, infused with a warmth and humor worthy of Chaucer himself. 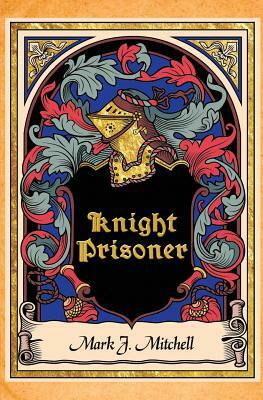 Mark J. Mitchell's Knight Prisoner is an ageless comedy, filled with clever insight into humanity, whatever the century. Mark J. Mitchell was born in Chicago and grew up Catholic in southern California. He studied writing and Medieval Literature at UC Santa Cruz under Raymond Carver, George Hitchcock, Barbara Hull and Robert M. Durling. His poems have appeared in several hundred periodicals over the last thirty five years, as well as the anthologies Good Poems, American Places, Hunger Enough, and Line Drives. His poetry chapbook, Three Visitors won The Negative Capability Press International Chapbook Competition. He lives in San Francisco with his wife, the film maker and documentarian, Joan Juster.